It was an order-Gloves with inscribed letters. 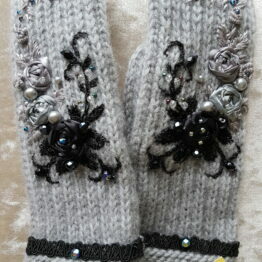 Shown is a sample, size 7-8 . 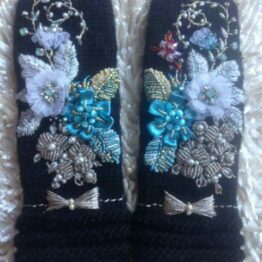 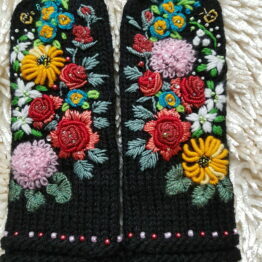 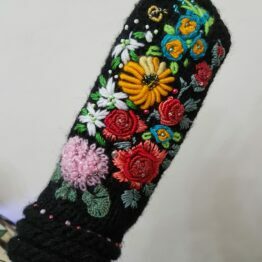 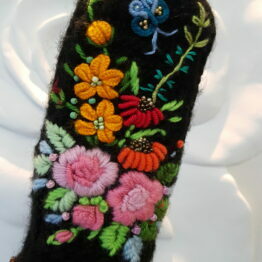 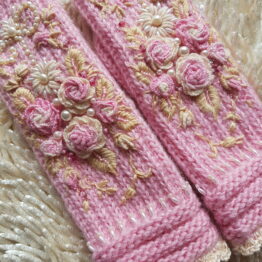 1 review for HANDMADE GLOVES WITH EMBROIDERY .SOLD. 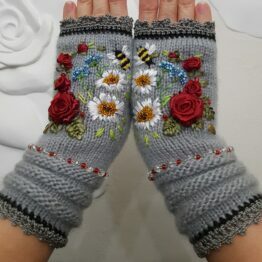 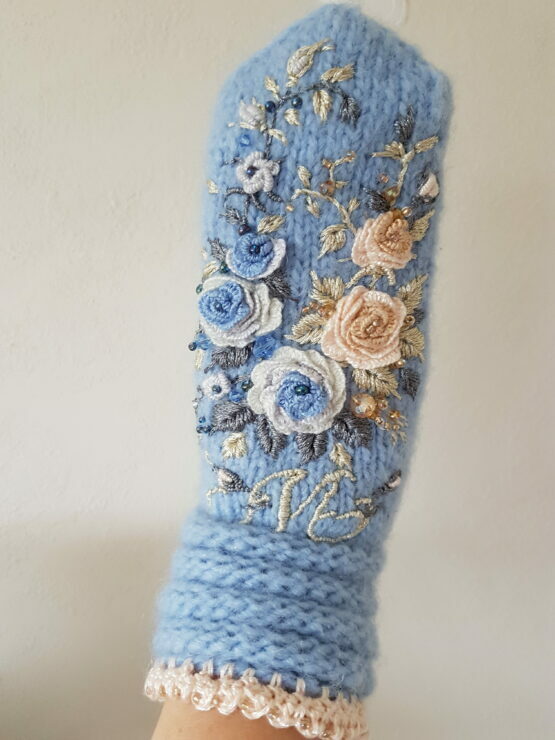 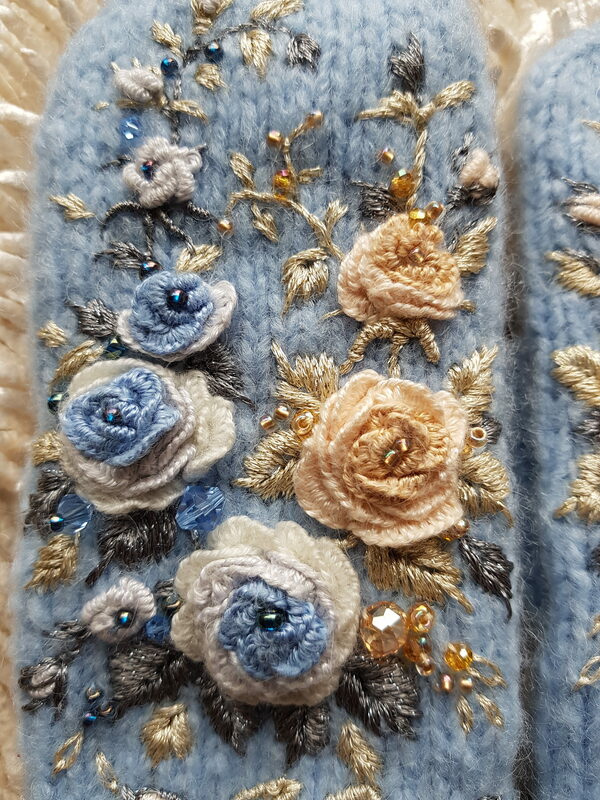 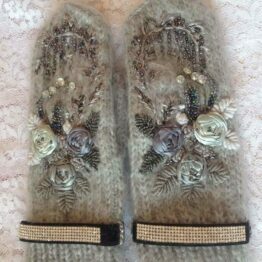 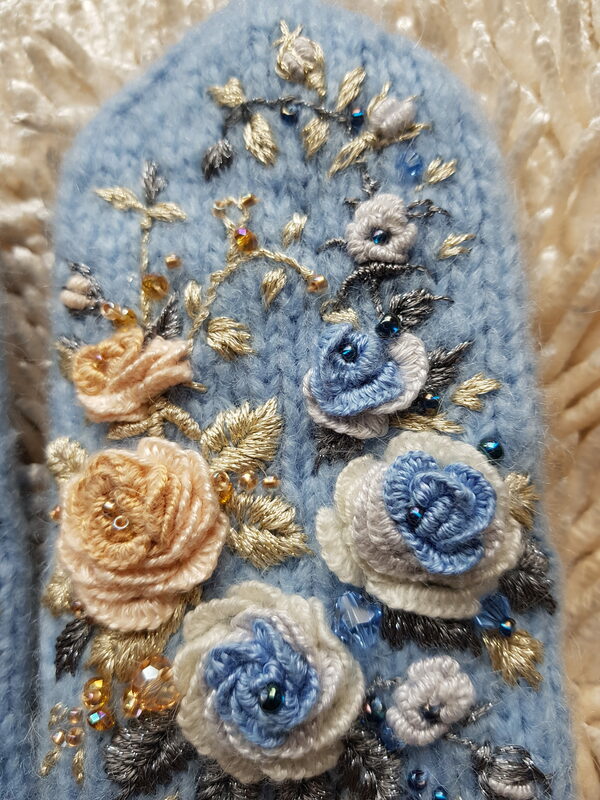 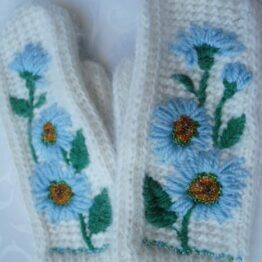 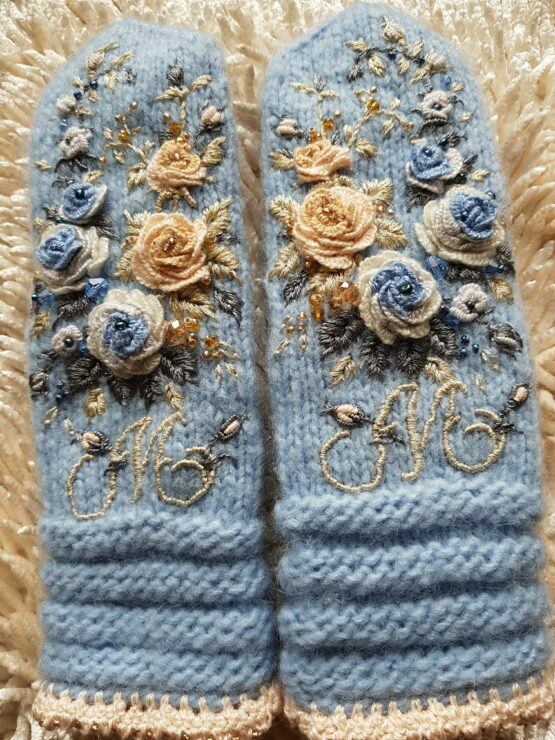 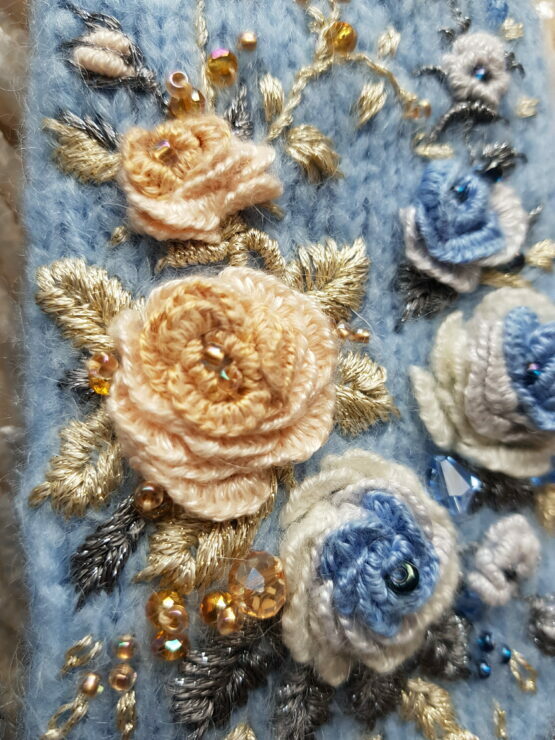 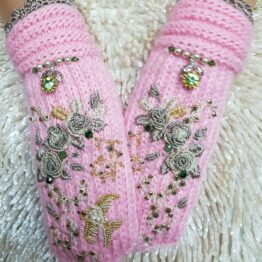 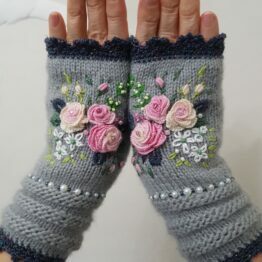 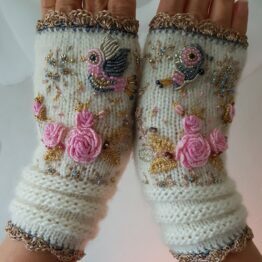 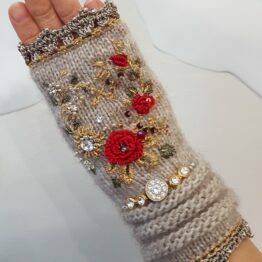 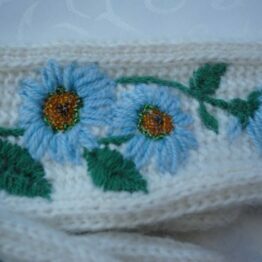 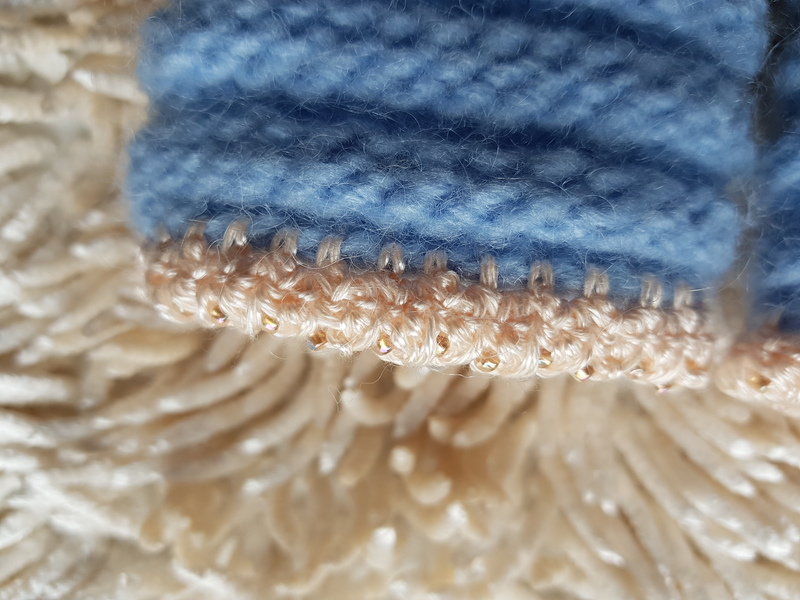 Beautiful mittens, a piece of art, very warm, great craftsmanship, nicely done inside, brings so much joy to me when I wear them. 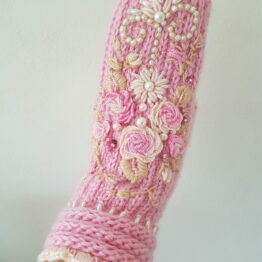 Thank you, Mila, for making things that carry your positive energy and bring happiness to the person who wears it.